I have 3 plant that I'm trying to rescue. The were originally clumped together in a 0.5L pot for germination, and sort of forgotten. 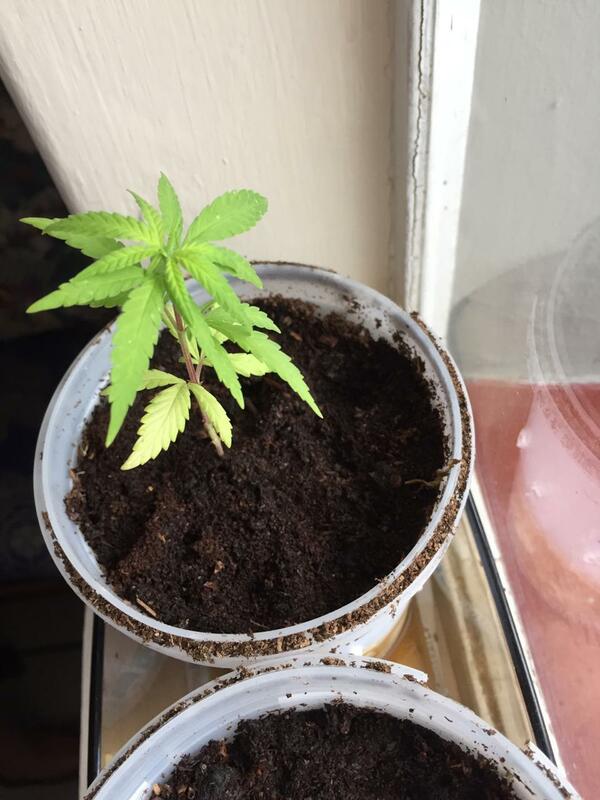 I saw that at least one of the three was really struggling, and decided to transplant the all to their own container. I then added organic Seagro B2051 Fish Emulsion (5ml to 1L water) and mixed in extra water get a moist soil medium. 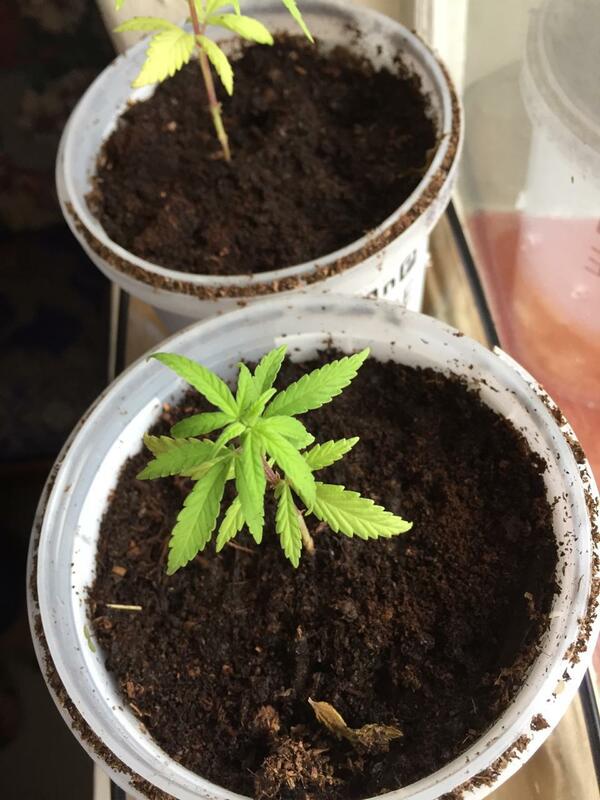 It has been a week now since the transplant, and I noticed the yellowing of the bottom fan leaves of the strongest of the 3 plants, as well as the smallest of the 3 plants not really gaining any height. 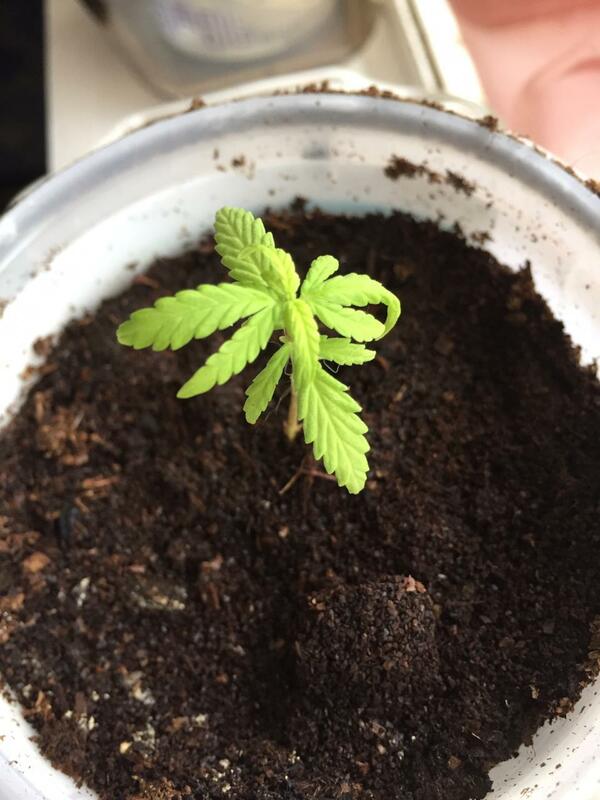 I have read that yellowing of the bottom leaves is due to nitrogen deficiency. I did not expect that with organic compost. If anyone has any advice I would appreciate it. Hi Sliver1, thank you for the response. But first check if the soil is wet or too dense for proper aeration of the roots. And if the plants is even placed in a proper environment. It looks like it could use some more light and ventilation.